A Fun Drawing Event you won't forget! With Great costumes and make up!!!! * just below Santa Monica Blvd. Come in through the big gate, up the middle street inside and the hanger building is to the left. 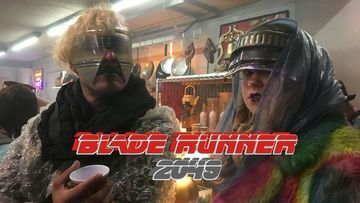 October 27 - "Blade Runner 2049 - Replecants"